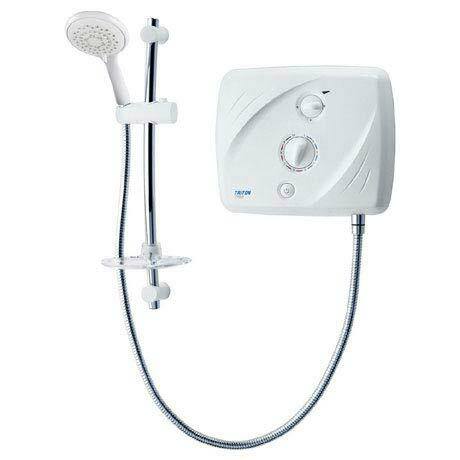 The T90xr Pumped Electric Shower is the ideal solution for households in low water pressure areas. The unit has in integrated pump and is designed for use with a gravity fed cold water supply from a header tank. Easy to use, it features a separate push button to start and stop the shower, so you can simply use the last settings if suitable. The power and temperature can easily be changed via the easy grip control knobs.